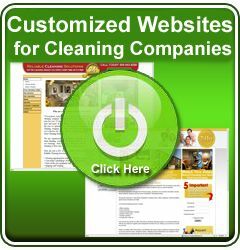 Cleaning-Success.com: Hiring Blues: Where Are All The Good Cleaning Technicians? I've been hearing a lot of cleaning business owners singing the blues lately, and it's all because they can't seem to find good cleaning technicians. And just when they think they've found some good people, they either don't show up for work or they quit after a month or two. The unfortunate result of this scenario is that there are a lot of frustrated owners out there who are no longer willing to put in the effort to thoroughly train employees for fear that it's all just a big waste of time. And thus begins that vicious cycle we've seen in our industry for years - high turnover. The danger for business owners is the shift that happens when their frustration becomes apparent to the people around them. Frustration leads to bad attitudes, and bad attitudes will change the entire culture of your business. Even your most productive and most engaged employees are susceptible to that negative culture, and may seek employment elsewhere if they have to put up with all the negativity. How Do You Find Cleaning Technicians That Stick Around? Unfortunately there is no silver bullet to this problem. With increasing minimum wages, competition for employees, thin profit margins, and restrictive labor laws, it's becoming increasingly harder to find good help. Even the companies that are succeeding have to actively recruit employees regularly in order to keep the pipeline full. But it's more than just having a steady stream of prospects to choose from. That phrase, "slow and steady wins the race" applies here. And it starts with you, the owner, and the culture you create for your business. "Trust me, if you separate yourself from the competition in terms of how you treat your employees, they will tell others who work for competitors and they will come knocking. This has been happening frequently with us for years now." Another example of a company that literally wrote the book on creating a culture in the cleaning industry that helps it's employees thrive is Jancoa. The book The Dream Manager is based on what Mary and Tony Miller did to turn their company around. The reality is that for most people, their cleaning job is a stepping stone to what they really want; so if you can get 3 to 5 years out of a cleaning technician, you're doing great. Jancoa is helping their employees reach their dreams, so they are retaining most employees participating in the program for at least 3 to 5 years. People don't usually think about marketing when hiring employees, but that's exactly what you need to do. Marketing is all about attracting people to what you have to offer. It's no different when seeking employees. If you want to find good employees you must attract them. Think about it this way. Many of us rely on word of mouth to grow our business. When your customers have a great experience with your business, they are more likely to tell others about you. The same holds true for employees. If you have engaged employees that enjoy working for your company, they're more likely to recommend you as an employer. And the good news about that is, they're going to tell their circle of friends, who typically share the same attitudes and values. And if your best employees are recommending your business, it's very likely these will be the kind of people you want to hire. So encourage your best employees to promote your job openings to their circle of friends. You'll also need a strategy for marketing your job openings in order to get even more candidates in the door. But instead of the traditional employment ad where you list the position, FT or PT, and the hours they'll be working, focus on the benefits and experience they'll enjoy when working for your company. If you read our last blog post on attracting and retaining top talent, you'll know that 41% of employees say job security is a key reason to join an organization. So talk about that in your employment ad. Ask your best employees why they love working for you and use that to attract more candidates. Other things that are important to candidates are career advancement opportunities, learning opportunities, and your organization's reputation as a good employer. If you don't want problems right off the bat, be sure to hire for attitude. As the saying goes, this job is not rocket science, and although not everyone is cut out for cleaning, most people can learn to do the job if they get the right training. It's better to hire a dependable, hard working employee with a cheerful attitude than it is to hire an "experienced" cleaner with a negative attitude. The point to remember is to hire people who will work well with the team and within your culture. If you don't believe me when I say to hire for attitude, train for skill, then take a look at companies like Southwest Airlines. Southwest has followed this philosophy for 30 years and is known for its customer service. And the jobs available at Southwest are much more complex than a cleaning technician job. One more point about hiring decisions. And that is to look for people that are coachable. Being coachable means "the ability to accept and implement feedback from bosses, colleagues, customers and others". So ask questions that will help to uncover their coachbility, such as, "If I call your last supervisor, what will he/she tell me are your weaknesses?" If they can't come up with any weaknesses, they're probably not very coachable. If you'd like more information on how to hire for attitude and how to determine if people are coachable, check out the book "Hiring for Attitude" by Mark Murphy. Remember that none of this happens over night (slow and steady wins the race, remember?). Be patient through the process as you work on improving your hiring and training process as well as your marketing strategy for attracting better candidates. And keep in mind that your competitors are likely struggling too so if you can improve your culture, chances are you'll be able to steal away some of your competitors best cleaning technicians. Good post - very relevant! Would like more relevant info: How to structure help wanted ads? How to begin a new position? What incentives work? This is the most touching subject in the cleaning business. It is a monster to keep good dependable cleaners. You need them so fast that sometimes you have to hire them right on the spot. How do you keep from wearing them out? 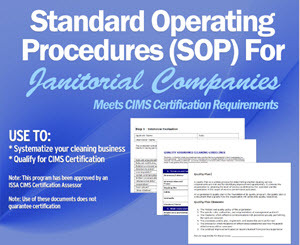 Do you hire more cleaners and obtain more expenses? Does anyone know where to search for good cleaners? I have received candidates from "Indeed', Michigan Works, ad in the paper, etc. I need new resources. HELP!!! Also, is anyone cleaning move in and move out apartments. How are you getting paid?